Welcome to the Phusion Passenger Nginx module installer, v5.2.3. shouldn't take more than 5 minutes in total. 1. 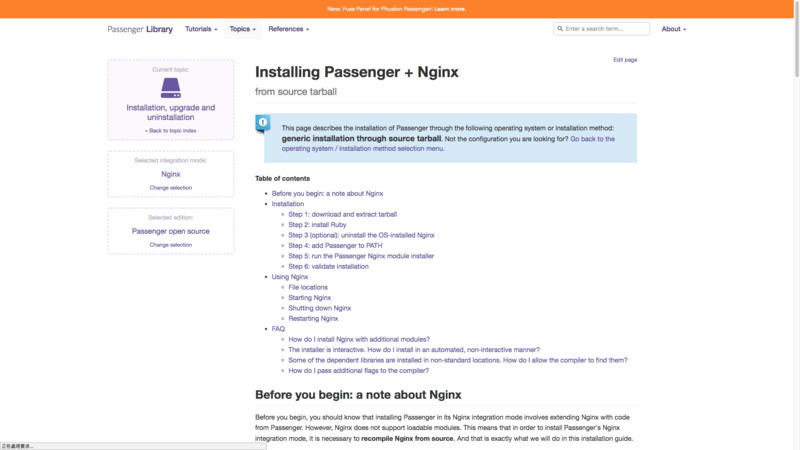 This installer will compile and install Nginx with Passenger support. 2. 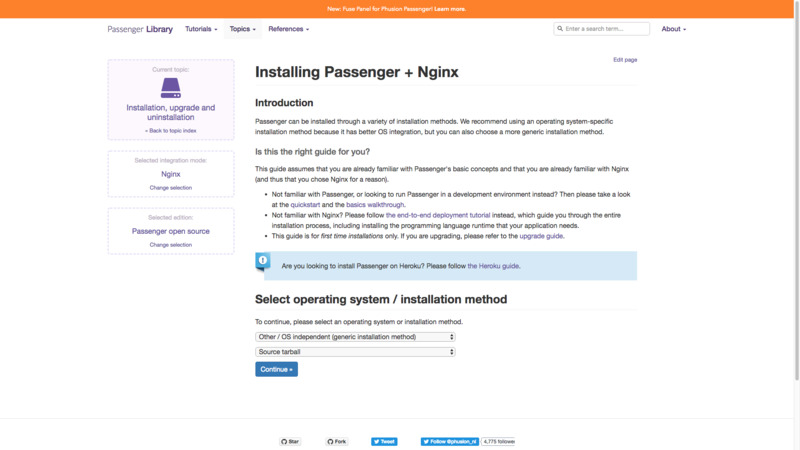 You'll learn how to configure Passenger in Nginx. Error: Cannot find the `curl-config` command.